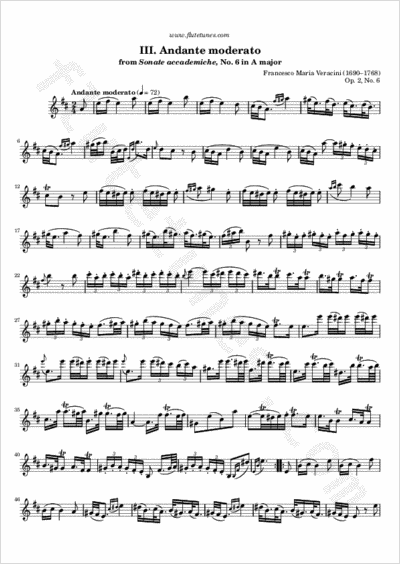 This “Andante moderato” is the third movement of the sixth sonata from the Sonate accademiche collection by Italian Baroque composer Francesco Maria Veracini. Originally published in 1744 for violin and continuo, it is probably one of Veracini's best-known works. Thanks to Istvan for suggesting this piece!